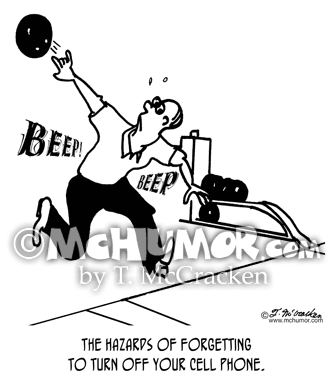 Bowling Cartoon 2729: "The hazards of forgetting to turn off your cell phone." 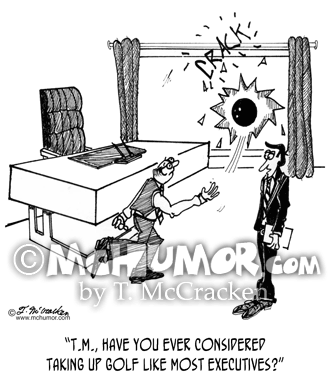 Someone throws a bowling ball backwards. 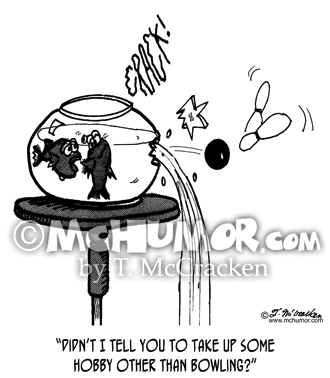 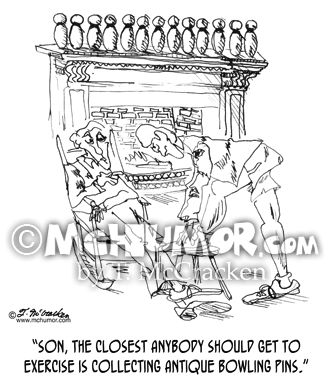 Bowling Cartoon 7797: A fish saying to another who's shattered the fish bowl glass, "Didn't I tell you to take up some hobby other than bowling?" 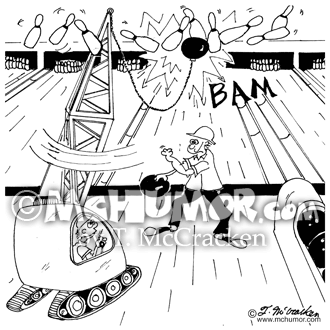 Bowling Cartoon 8736: A man fumbles throwing a bowling ball so it goes through the floor. 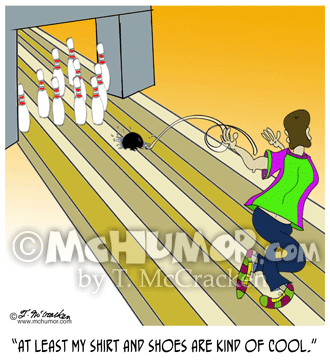 "At least my shirt and shoes are kind of cool." 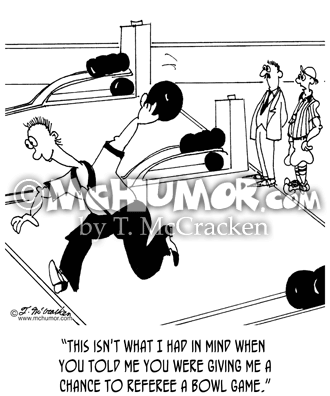 Exercise Cartoon 1082: A man sitting in front of a bunch of bowling pins says to a boy lacing up his running shoes, "Son, the closest anybody should get to exercise is collecting antique bowling pins." 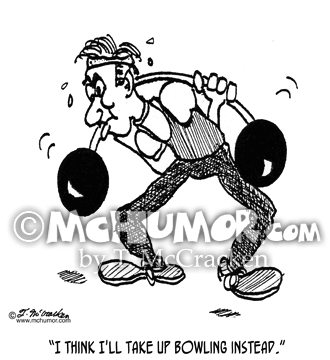 Exercise Cartoon 2542: A weight lifter struggling to hoist barbells says, "I think I'll take up bowling instead." 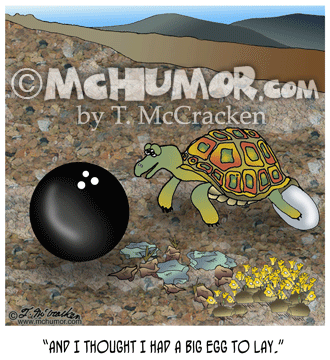 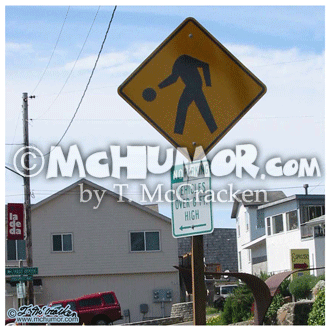 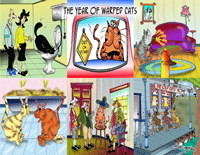 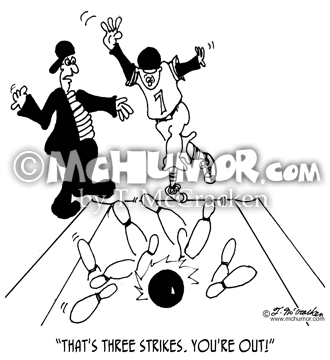 Bowling Cartoon 0637: When a bowling ball crashes through an alley floor someone shouts, "Wow. 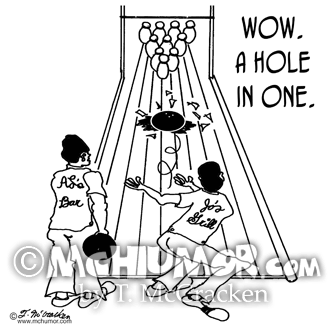 A hole in one."